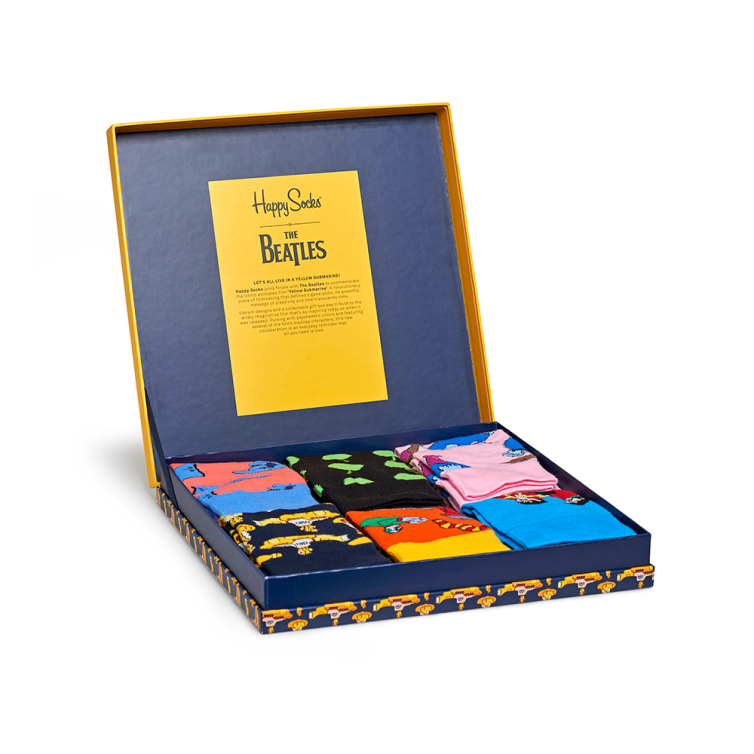 Alongside the Pretty Green X The Beatles Yellow Submarine collection we’ll also be stocking the previously sold out, limited edition Yellow Submarine Happy Socks. 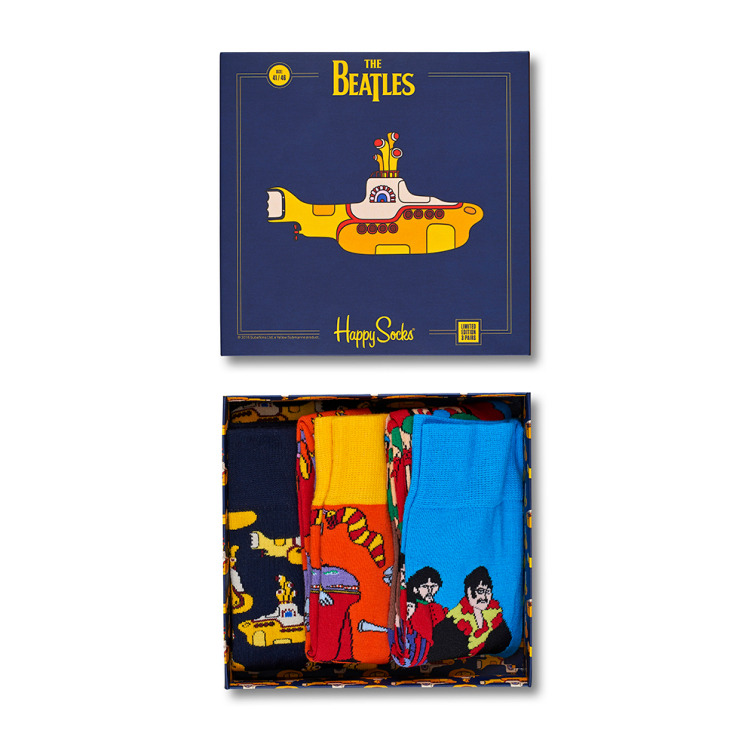 For Fall/Winter 2017, Swedish sock and underwear brand Happy Socks collaborated with British pop legends The Beatles on six pairs of limited edition Yellow Submarine socks. Each pair commemorates the iconic 1968 animated film that defined a generation, its powerful message of love transcending time. 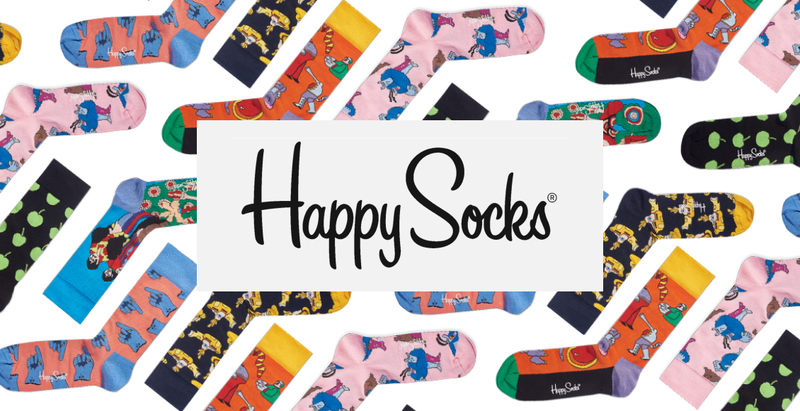 The designs are inspired by the film’s most recognisable characters and scenes, including The Dreadful Flying Glove, Chief Blue Meanie and Jeremy, Pepperland, and the Yellow Submarine itself. 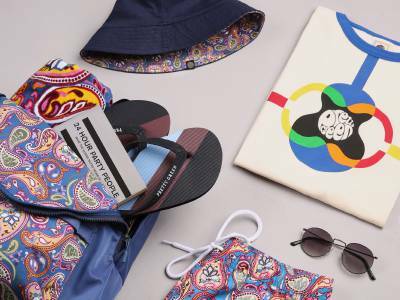 The vibrant designs pulse with psychedelic colors, paying tribute to the wildly original film that is as inspiring today as the day it was released. 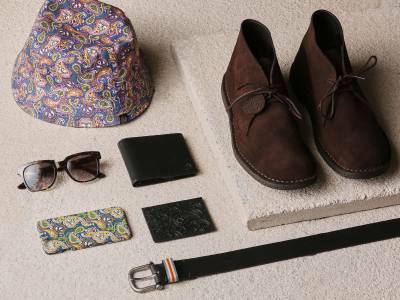 Three pairs are available to buy seperately, or as part of 3 - or 6- pack vinyl-record inspired gift boxes.